Parker, Nancy Winslow. Very Good. Trade paperback (US). Picture book. Glued binding. 40 p. Contains: Illustrations. Intended for a juvenile audience. 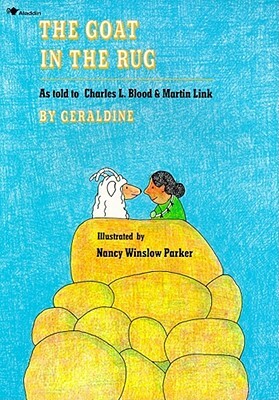 In a charming story about the care and pride involved in the weaving of a Navajo rug--and about the importance of cooperation between friends--Glenmae, a Navajo weaver, decides to weave her friend, Geraldine the goat--or rather the wool from her coat--into a rug. Parker, Nancy Winslow. Good. Trade paperback (US). Picture book. Glued binding. 40 p. Contains: Illustrations. Intended for a juvenile audience. 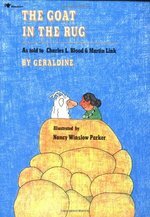 In a charming story about the care and pride involved in the weaving of a Navajo rug--and about the importance of cooperation between friends--Glenmae, a Navajo weaver, decides to weave her friend, Geraldine the goat--or rather the wool from her coat--into a rug. Parker, Nancy Winslow. New. Picture book. Sewn binding. Cloth over boards. 40 p. Intended for a juvenile audience. Very Good. 0689714181 Ships from Tennessee, usually the same or next day.